I love these Nuzlockes, and the art and stories that come with them. I always found it interesting and wondered where the idea for making comics / stories for Nuzlocke runs originated from. Oh wait, this is a Yellow run xD I had no idea you could get all the starters in-game in Yellow! Haha, that's okay, it's easy to get confused. As for all three starters, I'll be honest it was not until I was reading a comic playthrough of the game that I realized you could get all three starters in the game. I wasn't actually aware of the fact either until then, but it is really cool to have them all around. Also, I finally finished the event story log for Koga's match (UGH IT TOOK SO LONG BUT IT WAS SO MUCH FUN TO WRITE), so if you want to read it, I suggest you do. It's got humor, Undertale references, and even a cameo of @Suicune's Fire and her girlfriend! I HAVE TO READ THIS SOON! :D Especially because I AM IN [email protected][email protected]!#$1! Total Points: 43 plus 2 bonus points! 45 Points! Hardest Gym in the Game-Cleared! I loved the smell of the sea. Pallet Town had salt water close to it, which was great, but I was never able to travel out far for obvious reasons. Now, though, with Akuma, I felt we could sail forever and forever. That's really what I wanted to do but, more importantly, I wanted to go to Cinnabar Island. I knew the next gym was technically Sabrina, but visiting Cinnabar first couldn't hurt either. The first thing I did upon entering the high seas, was catch a tentacool. I named him Jello, and he would be boxed next time I met up with the Black Charizards. Then I battled a bunch of trainers. If there was thing the seas were notorious for, it was trainers. The swimmers out here loved to battle and I ended up using an entire day up just battling them. It was for the best though, since I knew tackling the Seafoam Islands would be rough. I camped out that night then, the next morning, my partners and I faced the cave. I caught Kaka the Krabby when I went inside, but I kind of wished later that a Krabby hadn't been my first encounter. The Seafoam Islands were filled with so many beautiful Pokemon like Dewgong and Slowbro! Still, the currents were a problem, since Akuma couldn't navigate them very well. They were too strong. Thankfully, since he knew strength as well, we were able to push some rocks around to hopefully slow the current. "Okay, Akuma! That should do it!" Akuma let out a pleased cry. We returned to the bottom floor of the cavern and Akuma used surf again. Holding onto his back, we began to ride the current. Just as we had thought, the current was much more manageable with the rocks blocking it. We were just about to our destination when there was a loud crash. I looked over my shoulder only to see a giant tidal wave crashing towards us. Akuma and I tensed, bracing for impact, but it never games. I shivered as cold enshrouded us and, for a second, I was like one hundred percent sure we were dead. But then, I saw the bright light of day and Akuma and I were suddenly standing outside the Seafoam Islands. We stood there, confused as to what just happened when a loud bird cry echoed through the air. I looked up into the sky just barely in time to catch the glimpse of a light blue tail. I smiled, knowing exactly what happened. The legendary bird, Articuno, said to protect travelers of the islands, had saved Akuma and I. The rest of the journey to Cinnabar was quiet and relaxing. It felt nice to just unwind, even while battling trainers here and there. We arrived on Cinnabar, spent the night, then began to explore a bit. I decided the Cinnabar Mansion would be a great place to grind, so we ventured inside. The first Pokemon we encountered was a growlithe and I sent out Akuma to weaken it, but alas, that is not what happened. The poor Nidoking critical hit the Growlithe. Akuma seemed pretty upset afterwards but I told him it was okay. It was bound to happen eventually. There was a lot of cool stuff inside the mansion but it was nothing more than a level farm for me. Once I felt everybody was comfortably strong, we left the Mansion. I prepared to fly Saffron when I noticed my bag was missing, and none of my Pokemon knew where it went. The seven of us split up and began to scour the city, trying to find out where my bad had disappeared to. I returned to the mansion to search. As I entered, I heard a unique snickering. I looked up just in time to see a pink flash. I furrowed my brows in confusion, since the only thing pink in this place were the dittos on the bottom floor. I decided to follow it. Chasing the mysterious pink thing into the basement, it finally settled down next to a journal entry. I crouched down and crawled towards it, stepping very carefully as I went. I got really close before the thing noticed, and when it did, it only looked at me before snickering again. Then it pointed to something in the book. I risked a glance. It was pointing to the word "Mew." "Mew! Mew!" I stared at the thing before reaching for my pokedex. I flicked open my pokedex and decided to check the thing to see if it was a Pokemon. "Well, I guess I'll call you… Myo." I reunited with my team shortly thereafter and explained everything that happened, as well as introducing Myo. Next we flew back to Celadon. I caught another Goldeen that I nicknamed Diva while I was there, then gave all the Pokemon I had caught to a Black Charizard. Then I entered Saffron City. Just like before, it was overrun by Rockets. I went to the Pokemon center to heal my Pokemon and was prepared to relax when I heard a familiar voice. "Hey! Hey! PSSST! Sloane! It's me! Kiosia." I rolled my eyes, took my pokeballs back, then looked at Kiosia. Sure enough, there she was. "You here about the Rockets too?" I cocked an eyebrow at her and shook my head. "Oh! Well you should join me anyway, it'll be more fun and we'll get done quicker. They've blocked off the gym too so don't even go try to challenge it." Seeing no reason not to help Kiosia, I consented. Kiosia pulled the same stupid trick as before and managed to get us inside before doing the exact same thing as before. This time, however, they were much more prepared. The warp panel system in this place made me feel sick but with Kiosia dragging me everywhere, it wasn't like I had much of a choice. I wasn't until we found the key card for the doors that something occurred to me. Kiosia hadn't cracked a single joke since they walked in the building, the exact opposite of last time. She opened a nearby door but I quickly shut it, causing her to give me a somewhat irritated look. "What's wrong?" I asked quietly. Kiosia sighed and looked up at the ceiling. "The reason I'm here is because Erika got a report about Gary Oak, your friend. Team Rocket got to him first and they're currently holding him hostage in this building. We don't have time to waste on this, I just assumed you knew." Suddenly, it was as if someone had flipped a light switch. Now I was the one dragging Kiosia everywhere. We searched the entire place, battling a ton of trainers, but we could not find Giovanni or Gary until a man pointed out a hidden warp panel. We were reluctant at first but decided to use it. We quickly found ourselves outside the president's officer. Giovanni didn't stand a chance this time and as thanks, I received the master ball. But there was no sign of Gary anywhere. I tried to interrogate Giovanni, but he wasn't giving out any clues. I spent the night at the Pokemon center again but then the next day I challenged Sabrina. It ended up being a fight of psychic between psychic, but Arkansas managed to take out both the Kababra and Alakazam on his own. Sabrina seemed to noticed how troubled I was and I asked her advice about Gary. She said that, unlike her teacher, Olympia, she was not able to see the future on will yet. Sabrina did offer some interesting advice however. She said that Blaine had been reported to work with Team Rocket on science experiments from time to time. Lucky me, he was the next gym I had to tackle. Last edited by Noblejanobii; 04-18-2016 at 07:31 PM. I tightened my hat on my head as Caliburn and I soared through the air to return to Cinnabar Island. I frowned as we neared, glad I had picked up the key from the Cinnabar Mansion last time I visited that unlocked the gym. Caliburn landed and I dismounted. Sabrina had told me that Blaine had been known to work with Team Rocket on science experiments. One had gone horribly wrong many years ago, but Sabrina said she didn't know any more than that. I was fine with that for now, right now my main mission was to locate Gary. I cracked my knuckles and walked with Caliburn to the gym. Pulling the key from my bag, I unlocked the door and stepped in. The gym was extremely hot inside, like a sauna. I didn't want to, but I could already feel sweat dribbling down my back, so I was forced to take off my Black Charizard's jacket. I tied it around my waste and walked into the gym. It grew darker the further I walked into the gym. Suddenly everything went pitch black and I heard laughter echoing in front of me. I saw the flash of a pokeball opening and then a nearby torch lit. "Welcome to the Cinnabar Gym," a burglar said. In front of him were three pokemon, a growlithe, a vulpix, and a ninetales. He smiled at me. "I am your first opponent, have your pokemon ready." I motioned Caliburn forward then sent out Akuma and Mason to aid him. The burglar had the first move, all three of his pokemon using flamethrower. Caliburn flapped his wings and took the three flamethrowers without a flinch. The battle was over from there. A slash, bubble beam, and surf later, the burglar was out for the count. The following gym trainers attacked me in the same manner, lights out, then a torch lighting, then we fought. It was a really cool gym set up, if I'm honest. The other gyms really hadn't incorporated their elements like Blaine had, which was nice change of pace. I finally reached Blaine's room, where the bald man was waiting for me in a well lit room. I squinted as my eyes readjusted to the light. "Ah, so you're the infamous Sloane Jackson I keep hearing about." I frowned, not sure how he could have known it was me, but not questioning it either. If this man worked for Team Rocket, there was no doubt he had his resources. "Yeah, then if you know who I am, then you know why I'm here, don't you?" Blaine turned to me and smiled. "Don't play smart with me!" I snapped, my patience thinning quickly. Blaine sighed and mumbled something about 'kids these days', but I didn't really care what he thought. I just wanted answers and I wanted them now. "If it is Gary Oak you seek, I'm afraid he's not here. However, I do know his whereabouts. Being loyal to Team Rocket gives you these perks, you know. I'll tell you where he is, but only if you can prove to me you're ready to fight for him." Blaine unclipped a pokeball from his belt and held it out to me. "Let us battle! If you can prove me to you are worthy of the information you seek, then I will relinquish the information I know. But if you do not, you may be walking away with only a gym badge, or nothing at all." So that's how he was going to play it. Fair enough. I would have to show him just how much I cared and how far I would go to get Gary back. I unclipped a pokeball from my belt and nodded. "If it means getting Gary back, I'll do anything. Bring it on." Blaine and I threw our pokeballs into the air. Blaine's first pokemon broke from its ball in a flash of light and landed gracefully on the ground before me. A ninetales. On my side, Arkansas was first up. It's not that I wasn't planning on using Mason or Akuma, but both of them were under leveled and I didn't want to risk them just yet. "Quick, Arkansas, use psychic!" Arkansas extended his spoons and his eyes began to glow blue. The tips of his spoons bent and three large shock waves shot towards the Ninetales. All three were direct hits and it was a one hit KO. Blaine returned his Ninetales to its pokeball without a word. This worried me, but I knew what he was up to, he was observing me. Arkansas returned to standing in front of me. "Good job, Arkansas. You're doing great! Can you handle another round?" "Kadabra!" Arkansas replied with a thumbs up. Blaine sent out his next pokemon, the flaming unicorn pokemon landing with just as much grace of the Ninetales before it. "Psychic again, Arkansas!" Arkansas repeated the attack but Blaine expected that. "Jump into the air, Aralean!" The rapidash neighed and jumped high into the air, dodging the psychic attack. "Now stomp!" Before Arkansas could teleport out of the way, the rapidash shot down with a high speed stomp. "Arkansas!" Arkansas rolled to the side and began to push himself up. "No, Arkansas, you're too weak! Come back, I can't risk you." Before the Kadabra could protest, I returned him to his pokeball. I was about to send in Mason with Caliburn burst from his pokeball. The charizard roared and stomped the ground three times. "You want to fight, Caliburn?" Caliburn roared in response and I knew exactly what that meant. "All right, let's go then. Slash attack, Caliburn!" Caliburn roared again and charged at the Rapidash. His claws extended and I thought for sure we were going to have another hit, but the rapidash dodged again. "Here it comes, Caliburn! Dodge it!" Caliburn managed to spin out of the way in time to not be hit by the aerial stomp. I was trying to figure out how to counter the move when Blaine shouted out another attack. "Aralean, use take down!" The rapidash charged and hit Caliburn at close quarters with a take down. Both pokemon stumbled back from damage, but neither seemed too bothered by it. That's when the idea came to me. "Caliburn! Try slash again!" Caliburn snorted and charged again with a slash ready. Blaine laughed and motioned to his rapidash. "You know, the definition of insanity is trying the same thing over and over again and expecting a different result. Things aren't looking too good for you getting that information right now, little one." I felt my ears heat up in anger but I managed to keep my cool. Sure enough, just as I thought, the rapidash leapt into the air again. Before it could start its aerial stomp, I yelled out to Caliburn. "Fly after it!" Caliburn flapped his powerful wings and shot into the air, dust flying everywhere. The rapidash didn't have a chance to dodge as Caliburn hit it with an extra strong Fly Slash combo. The rapidash hit the ground, knocked out, and Caliburn landed beside me. I saw a smile quirk at Blaine's lips. "Impressive," he mused. "You watched my attack pattern then adapted. Maybe you are ready. But this battle isn't done yet. Byakko! To my side!" Blaine threw his third pokeball into the air and a white Arcanine burst from the pokeball. I stared, never having seen one of those before. "He's beautiful, is he not? He's a rare Albino that I found one day. I've raised him from a pup and we are the closest of partners. Show me that your bond can beat ours." I knew exactly what pokemon I had to send out now. "Caliburn, return." The charizard returned to its pokeball. I unclipped another pokeball off my belt and kissed it. "Come on, Akuma, you got this." I sent the pokeball into the air and out burst my Nidoking. He roared then stomped the ground, a triumphant grin on his face. Blaine's smile grew larger and our pokemon clashed, take down against strength. Arcanine had obviously taken more damage than Akuma, but it was faster than Akuma, which did not bode well for us. I would have to play it safe, since one take down had taken out almost half Akuma's HP. "Akuma!" The Nidoking looked back at me and I gave him a thumbs up. "Let them have it." Akuma let out a pleased cry then stomped the ground, hard. The ground began to shake and the lights went in and out. Suddenly the room was pitched in darkness as the earthquake shook the whole building. When the lights lifted, the match was over. Blaine's Arcanine was down. I returned Akuma to his pokeball as Blaine walked up to me. He held out the Volcano Badge to me then nodded. "I doubted your abilities, but I should not have. I see the way you care for your pokemon. It is rare amongst modern trainers. Nevertheless, I respect it. I will tell you Gary Oak's location." He paused then said, "Go to the Viridian City Gym. That is where I last heard he was." The Rocket Leader is Down! Forgot to take a picture here. Hehe. 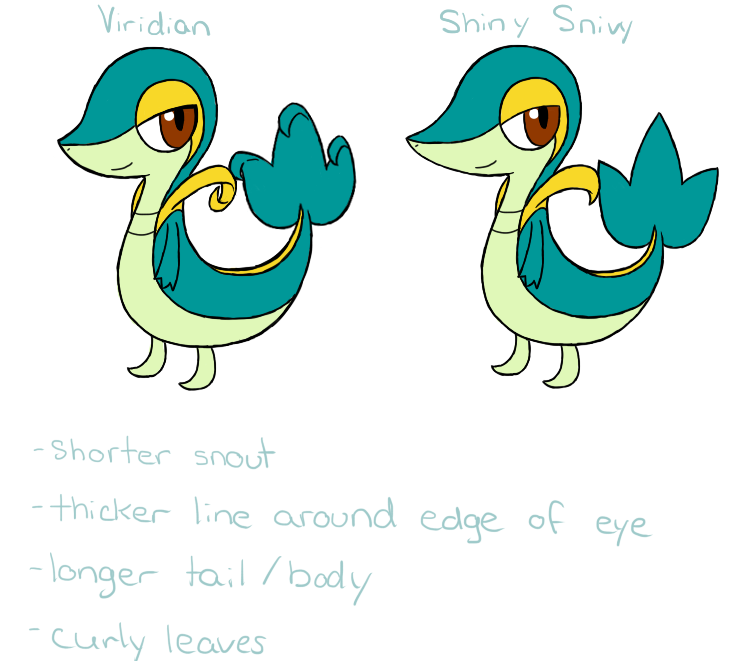 With Blaine out of the way, all that left was Viridian. I had my goal in mind, it was just a matter of executing it. I left Cinnabar island the night after I challenged Blaine. I couldn't afford to wait until the following morning. That would be foolish. Gary was counting on me, wherever he was. I had to rescue him. As we surfed from Cinnabar back home, I could tell Akuma was worried about me. I was being rash, no doubt, but we both knew the way I had been acting lately, it could very well kill me. I was without a proper sleep in several days, and I hadn't exactly eaten much lately. The only thing I had actually been consistent on was drinking clean water. I wasn't a total idiot, but I was close. Still, something kept me going. If I had to guess, it was the sheer thought of what Gary could be going through right now. We arrived at Pallet Town well past midnight. Good enough for me, easier to sneak through. Returning Akuma to his pokeball, I ran through the town towards Route 1. Everything was eerily silent, but that didn't matter. The whole place could be completely deserted, and I probably wouldn't care. That wasn't my priority. I arrived in Viridian several minutes later, my bike making the process much quicker. I considered going to the Pokemon Center until I noticed the lights were on in the Viridian Gym. My Pokemon were tired, and so was I, but I decided it was worth the risk of it meant I could challenge the Viridian Gym. After all, if Blaine wasn't lying, that's where Gary was. With this resolve in mind, I marched up to the doors of the gym and prepared to force them open, only to have them slide open. A speaker nearby crackled on. "Ah, Sloane, good. I've been expecting you. Please do come in, we have much to discuss." My blood ran cold at the sound of that voice. Giovanni. I reluctantly stepped inside, but Blaine's words kept me going. I had to save Gary. The gym was in utter ruin, moonlight coming through the ceiling and plant life growing everywhere. It was as if this were more of a nature preserve rather than an official league gym. The building was utterly abandoned, and pitch black save a small flickering light in the very back of the building. I took a deep breath and trudged forward. As I approached, I saw someone's shadow flickering in the light. I could feel the warmth of a growing fire as I drew closer, and then finally he was in front of me. Giovanni did not look up at me as I stepped into his little corner of paradise. He merely stared into the fire he had set in front of him. I didn't have time for him to contemplate the meaning of life. "Where's Gary?" I growled out. Giovanni held up his hand to silence me. He continued to stare into the fire and my patience grew extremely thin. "Where is Gary, Giovanni?" I snapped loudly. Giovanni waited three beats before he turned his head to look at me. "Not much for patience, are you?" "Not when one of those close to me is being held hostage. Now tell me, where is he?" Giovanni merely laughed. He stood up and approached me. He stopped right in front of me and smiled down at me with a sinister gleam in his eye. "Oh you love sick fool. Do you really think he is with me right now?" Giovanni turned his back on me and began to walk away. "How you ever stopped to consider who your biggest obstacle up until this point truly is? I can assure you that it is not I. I was merely a stumbling block for you. Nothing more, nothing less." I frowned in confusion. What did Giovanni mean by this? Then it hit me. The laws, the wanted posters, the unwanted attention. Everything that had been the largest stumbling blocks to me, they had not been Team Rocket related. No, they were all controlled by the Elite Four! Giovanni must have noticed the epiphany in my eyes because I heard him begin to laugh again. "So you've figured it out. I wasn't working to take over Kanto. I was merely under orders from my superiors to stop you this whole time. And now guess what? If you want to get your precious Gary back, you must conquer the Elite Four, and you know their rules." I did, very well. I had hoped it wouldn't come to facing them, but it looked like I had no choice. I would have to go through four consecutive battles to the death. If my team came out on top, I was the new champion. But, if not, I was banished from kanto, all my Pokemon released, and my license (which I had technically gotten illegally anyway) revoked. "So, are you going to try and stop me? I came here to get my last gym badge and I'll fight you to the death for it if I have to." Giovanni's smile lowered. Something changed in his eyes and he sighed. "No, as much as I want to stop you, I don't think that would be very wise." Giovanni looked away. "I hope you can maybe forgive me for my actions in the future. Both you and Gary are goods kids. I hated to put you through what I did. Just know, it's not just I. All of the gym leaders feel this way. We are tired of putting up with the Elite Four. We believe in you. And if you don't believe me, well, your proof is on the inside of your jacket. Our faith in you is represented by the badges you wear." Giovanni tossed something towards me and I was barely able to catch it. I opened my palms to find a Virdian City gym badge. "We believe in you. Go, defeat the Elite Four, and free not just Gary, but all of Kanto." Last edited by Noblejanobii; 06-10-2016 at 04:06 AM. Well @Trainer17 I'm late but I did it. The Elite Four and Champion have been overthrown! Last edited by Noblejanobii; 06-10-2016 at 04:07 AM.